We have finally reached the last Color Commentary of The Power of Color series, and I am sad to see this series go! We have had such a fabulous color party, but as we know all good things must come to an end. 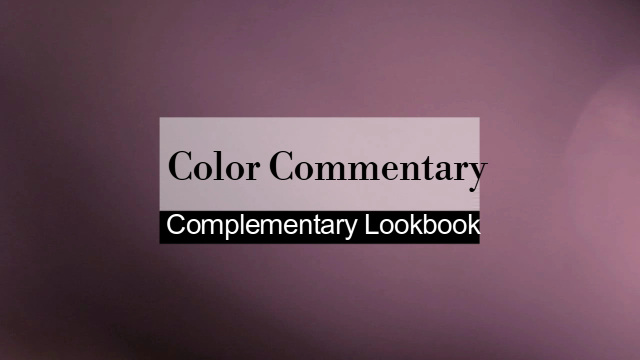 Today we are doing the breakdown of the most recent and last lookbook which is Complementary. If you have missed any of The Power of Color series, no worries! Click below to catch up! And now you can enjoy today’s video! I hope you have enjoyed the last color commentary! This series was such a joy to create! Let’s recap! This look was actually a dress and skirt layered to create one look, so I decided to give you tips on how to style both pieces! The burgundy top is actually a dress, and you can pair it with tall brown boots and a bucket back for a simple and beautiful look for work. 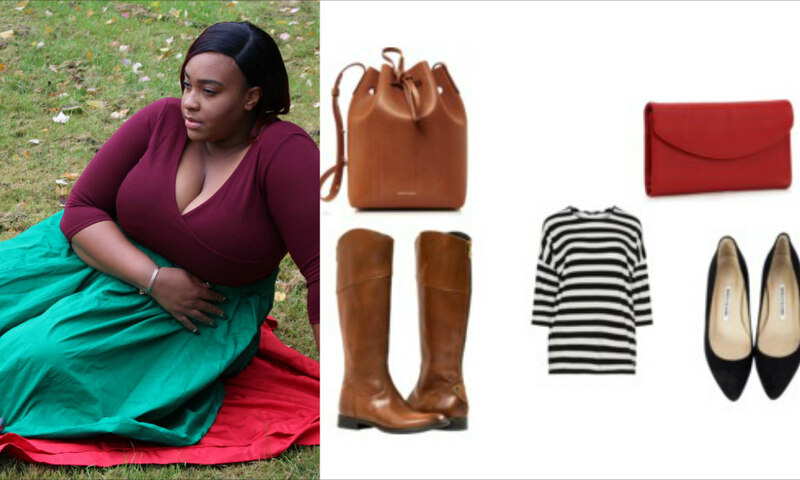 If you want to still have a simple Christmas vibe with the Eloquii green skirt, you can pair it with a striped top, black pointed flats, and a red clutch to be ready for a holiday party in a flash! This look right here just gives me so much life, and it’s all thanks to this fantastic lemon blazer!! This look is pretty wearable on its own, but if you want to switch it up, I would swap out the yellow blazer for a black one. This tones the look down a bit. Just add black boots, a purple back to color coordinate, and you’re ready for casual Friday! Woah! 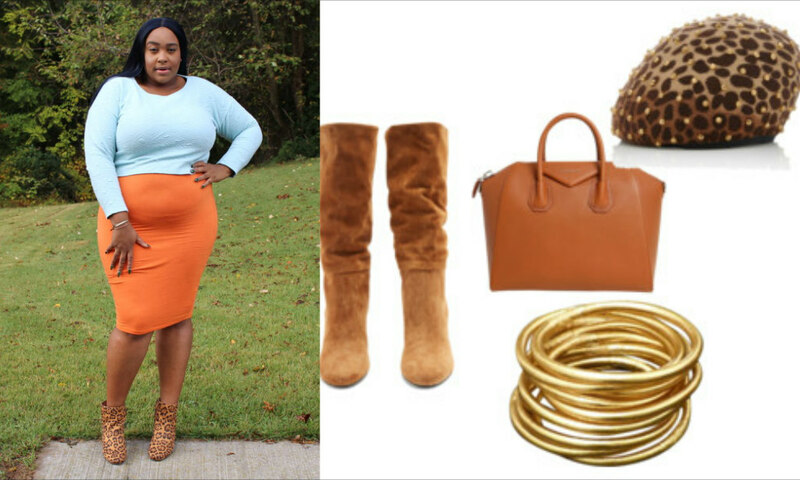 Curves are coming your way with this look! I love orange and blue so much, so it’s no secret that it’s my fave! I would just add a pair of tall caramel boots, a funky and fashionable cheetah beret, and gold accessories to create a high fashion look for the season! So that concludes The Power of Color series! I hope you all had a wonderful time taking this color journey with me! Be sure to follow me on social media to see the rest of my colorful makeup looks! The links are all above, and I am working on each lookbook having its own board on Pinterest, so stay tuned! I am going to take a bit of a break to reset, so I love you lots like tater tots, and I will see you on Nov 8th with our regularly scheduled programming!